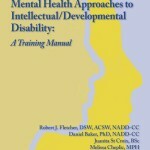 Individuals who have both mental illness (MI) and intellectual/developmental disabilities (IDD) present unique challenges to both mental health and developmental disability service structures. The group comprises a complex population whose needs are often poorly identified and who are often referred from agency to agency in a fruitless effort to obtain services. Because of the fragmentation of service delivery, this vulnerable population often does not receive appropriate services to meet their mental health and developmental needs. This paper is intended to address systemic barriers concerning people who have MI/IDD and offer a strategic plan to address their unmet needs. Collaboration between the mental health and the developmental disability service structures will be highlighted. It has been reported that individuals with IDD who also have MI may constitute one of the largest underserved populations in the United States. Persons of normal intelligence who experience psychiatric problems can avail themselves of clinical services within the mental health system. But persons with IDD who experience similar problems do not have easy access to psychiatric services. These persons, referred to as having a dual diagnosis, characteristically “fall through the cracks” in the delivery service system because neither the mental health system nor the developmental disability system wants to take responsibility for people with a dual diagnosis. Recent large scale research reflects that 40-50%of people with IDD have a psychiatric disorder. This failure to take responsibility can be attributed to the lack of a clearly articulated policy among providers for addressing the needs of individuals with MI/IDD co-occurring disorders. Service systems are often fragmented, characterized by each system operating within a silo framework. People with IDD who have co-occurring mental health disorders frequently are not understood and do not have their needs met. This barrier to service delivery is clearly the result of lack of planning. It is worth noting that individuals with co-occurring MI and IDD are among the most challenging persons served by both the MH and IDD service delivery systems. The lack of intersystem planning has resulted in a splintered system of care and has created a quagmire for both the MH and the IDD service delivery systems. The lack of strategic planning has led to challenges faced by the federal government and state regulatory authorities and local communities. There are significant systemic issues highlighted by eligibility and access barriers as well as financial challenges. As a result of the failure to strategically plan for appropriate cross-system services, people with a dual diagnosis have not received the services they need. In spite of many innovative developments in service delivery for people with disabilities, success for people with a dual diagnosis has lagged behind that for other disability groups. To some extent, policy barriers can be rooted in a lack of understanding of how one system can collaborate with another. Individuals with IDD co-occurring with MI are typically supported through different state agencies. Structural differences between the IDD system, on the one hand, and the mental health system, on the other, have resulted in misconceptions and the general lack of understanding of how the two systems can work in a collaborative way. 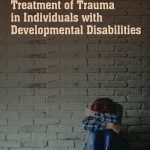 There is a lack of adequate training for professionals to recognize the possibility of a co-occurring mental health disorder in a person who has IDD. There is a near absence of intersystem professional training, and this has led to clinical myths and mistrust. The mental health and the IDD service delivery systems are separate and parallel systems. Each has its own eligibility criteria, philosophy of care, and treatment/support approaches. Even language used in each system can be different than language used in the other system. Professional staff find it difficult to understand and grasp each other’s perspective. Co-occurring disorders should be treated as multiple primary disorders, in which each disorder receives specific and appropriate services. Collaboration of appropriate services and supports must occur as needs are identified. Services provided to the individual are consistent with what the person wants and what supports are needed. Services are determined on the basis of comprehensive assessment of the needs of each individual. Emphasize early identification and intervention. Involve the person and family as full partners. Coordinate at the system and service delivery level. The systems need to recognize and value the long term cost effectiveness of providing best practice services and supports for persons with co-occurring disorders. The issue of what is the primary versus secondary diagnosis has served as an obstacle to planning and practice. The identification of a primary versus secondary diagnosis is an administrative artifact related to the funding source but has no clinical value. If a person is receiving treatment services for a mental health disorder, the psychiatric diagnosis is considered primary. If that same person is receiving residential services from an IDD provider, then a developmental disability diagnosis is considered primary for that provider. All services need to be based on a comprehensive biopsychosocial assessment for each individual. The assessment needs to consider historical, as well as current and interrelated variables including medical, psychological, as well as environmental factors. Developing a local, regional, or statewide task force can be a very important method in the attempt to improve service delivery for this underserved population. The task force can gather information and data to analyze relative strengths and weaknesses in the service delivery system for people with a dual diagnosis. This can allow planning to address the weaknesses while taking advantage of the identified strengths. The dual diagnosis task force needs to include decision making representatives from the MH and IDD systems. The composition of the committee should also include representatives from state regulatory authorities, service providers, family representation, and advocacy organizations. The working group could include other constituents either on an ongoing or as needed basis. The stakeholders would include, for example, representation from the criminal justice system, special education, and substance abuse. There is a need for comprehensive service components to be available, accessible, and appropriate for each individual. This involves an array of service components that need to be coordinated. There are four aspects that are needed for effective planning and practice with regard to intersystem collaboration for people with co-occurring disorders. These four elements are: (1) leadership, (2) effective staff, (3) effective treatment, and (4) staff training. Each of these four practice elements is relevant to advance intersystem collaboration. The elements taken together are designed to have a synergistic effect on promoting intersystem collaboration. Effective Leadership. Leadership’s embrace of intersystem collaboration is essential. Without leadership to support advancing intersystem collaboration, little can be accomplished from a systemic perspective. Identifying a “champion of the mission,” from a leadership position, would facilitate the process leading to a more likely positive outcome. Effective Staff. It is important that the “right” staff be at the intersystem collaboration table. Systems planning requires decision makers who can effectively represent their constituency or system in a manner that seeks to promote intersystem collaboration. Effective Treatment. Treatment follows diagnosis. Therefore identifying the appropriate diagnosis is crucial. The Diagnostic Manual – Intellectual Disability (DM-ID-2) can assist in the diagnostic process. Once a diagnosis has been established, there may be a need for medication and/or psychotherapy. Medication treatment should be aligned with a psychiatric diagnosis. A holistic approach to care and treatment essentially requires both a mental health and a developmental disability approach. 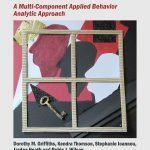 Positive behavioral supports should be used along with mental health treatment. Psychotherapy such as DBT and CBT have been growing substantially as they are adopted and applied to people with a dual diagnosis. Staff Training. Staff training at all levels is a prerequisite to effective planning and practice. At all levels, staff need knowledge, practice skill, and competency. For example, Direct Support Professionals need to learn how to observe behaviors that might be indicative of a mental health disorder. Clinicians need to appropriately identify specific psychiatric disorders in persons with limited language skills. Additionally, service coordinators, supervisors, as well as administrators need to know how to negotiate the complexities of various systems. While care for this vulnerable population poses obvious obstacles, it is not impossible to come up with an effective management plan that will get individuals the supports and treatment that they need. There should be coordination and collaboration at both the systems and the service deliveries levels while still involving the mental health and developmental needs of the individual with assistance of their family. The most important thing to remember is that all systems must work together to ensure the smoothest management from all entities including local, regional, and state organizations. Even though this process is challenging, it is an important step in getting members of this population the support and treatment they need and deserve. Dr. Fletcher can be reached at The NADD, 132 Fair Street, Kingston, NY 12401; rfletcher@thenadd.org; (845) 331-4336; www.thenadd.org .